The FPSO Egina is not self-propelled and is wet towed by up to three huge ocean towing vessels to its final destination offshore Lagos, Nigeria. 8 weeks after the convoy set sail, 60 persons on board were disembarked by helicopter in La Réunion, a French department situated east of Madagascar, while their back-to-backs were prepared and safely transferred on board for the second part of the journey. The challenge of this project lies in the unpredictable arrival date and the fact that the convoy did not stop during the crew change operations. BIM coordinated the whole operation, including liaison with the local authorities and the organization of personnel flights and accommodation. After a successful transfer the vessel is now continuing its voyage to Nigerian waters, where the FPSO will be connected to several subsea wells to act as a hub for production and storage of oil reserves before transport to shore. 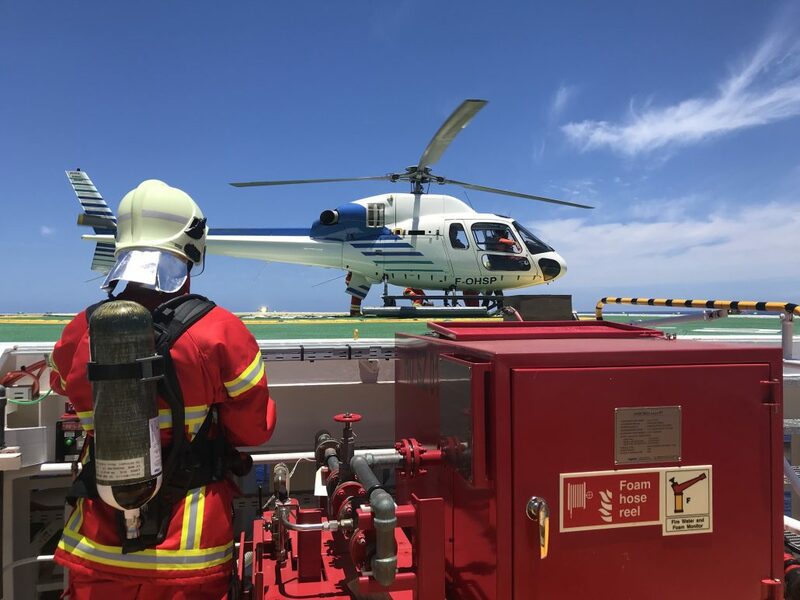 Besides coordinating the crew change, BIM also took care of the application of seaman books for the entire crew and the Medevac services during the journey. Additionally, several training sessions were organized by BIM’s instructors at the shipyard in South Korea.